Before you make a formal request under the Freedom of Information Act 2000 please check whether the information you are seeking is already published on our website through the links on the side. The Trust is happy to assist you in making a request and advising on the appropriate format of requests. Please telephone us to discuss your requirements on 01752 431058. There are twenty three exemptions under the Freedom of Information Act 2000, some of which are 'absolute' and some 'qualified'. If an exemption applies, but it is 'qualified' this means that the Trust must decide whether the public interest in exercising the exemption outweighs the public interest in disclosing the information. If the Trust decides not to disclose the information, then we will advise you of this, specifying the exemption in question and why we feel it applies in these circumstances. The Publication Scheme is a guide to the corporate information the Trust publishes. We have a duty to produce and maintain a Publication Scheme in accordance with the Model Publication Scheme produced by the Information Commissioner’s Office (ICO). The aim is to promote greater openness and transparency by making corporate information of Public Bodies accessible to you in an agreed format. The Publication Scheme comprises seven classes of information (known as Definition Documents) as detailed in our Publication Scheme. In order to access this information, simply click on the highlighted word(s) contained within the relevant section of the Publication Scheme. In the majority of cases, the information will be available electronically and can be downloaded from the Trust's Website. If you require a paper copy of either the Publication Scheme or a particular document posted on the Scheme, then please contact the Freedom of information team plh-tr.foi-requests@nhs.net. There may be a charge levied in respect of this service. The Trust publishes our responses to Freedom of Information requests in a disclosure log. This can be accessed by clicking the links to the left of the screen. Please note that the content of each response was correct at the time it was disclosed. 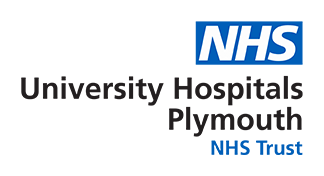 University Hospitals Plymouth NHS Trust publishes FOI compliance statistics in line with the Cabinet Office's Code of Practice (July 2018). Quarterly statistics will be published towards the end of the month following each quarter. For example, Quarter 1 (Apr - Jun) will be published at the end of July. By e-mail to: plh-tr.foi-requests@nhs.net for attention of the Freedom of Information Manager. If you have any comments about the Publication Scheme or if you have any difficulty in accessing any of the information posted in the Scheme, then please contact the Freedom of Information Manager whose details are shown above. The Environmental Information Regulations 2004 provide individuals with a right of access, subject to various exceptions, to environmental information held by public authorities. The process for requesting information under the Environmental Information Regulations 2004 is the same as the process for requesting information under the Freedom of Information Act 2000. Please use the same contact details. The Trust for its part is happy for you to reuse any of the information supplied to you in compliance with the open Government Licence terms. If relevant, you will need the permission of other information owners. This can occur when you receive a document is co-authored or where the ownership is with another organisation. Provision under both the Freedom of Information Act 2000 and Environmental Information Regulations 2004 does not entitle you to re-use the information without appropriate permissions. Use must be in compliance with an open Government licence or other agreed terms. Please refer to our letters of response for specific instructions. * If a charge is to be made, then payment will be requested and collected prior to the information being disclosed. ** In the event that it is estimated that the labour costs incurred in actioning the request will exceed £450.00 (based on a rate of £25.00 per person per hour), the Trust will either issue a Fees Notice or exercise its right not to action the request under section 12(1) of the 2000 Act. *** An Advance Payment Notice will be issued under the same circumstances as a Fees Notice.